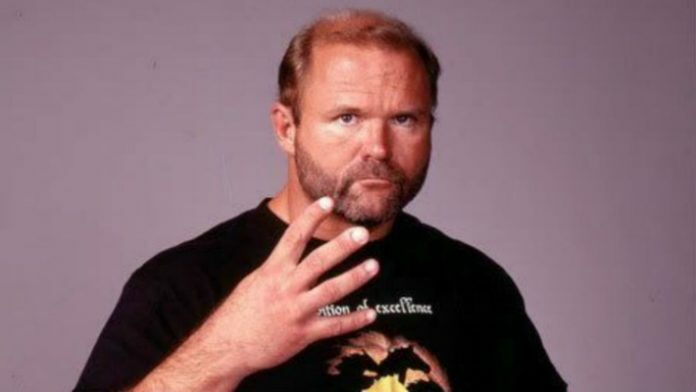 Arn Anderson is no longer with WWE. The most iconic member of the 4 Horsemen not named Ric Flair has been let go from WWE. According to a report from Pro Wrestling Sheet, Arn Anderson is no longer with the company. As of this writing, it is not clear what led to Anderson’s departure. Anderson began working for WWE as an agent not long after WCW closed. The 60-year-old was also inducted into the WWE Hall of Fame in 2012 as part of the 4 Horsemen. WWE has planned a 70th birthday celebration for Arn’s longtime ally Ric Flair on Monday. While Anderson has spent most of his behind-the-scenes career in WWE, he spent most of his in-ring career outside of it. He only wrestled in the company for one stint between 1988 and 1990. During that time, Arn teamed with his longtime teammate Tully Blanchard. They were named “the Brain Busters’ and were managed by Bobby Heenan. Despite winning the tag titles on one occasion with Blanchard, Arn returned to WCW in early 1990. The readers of the Wrestling Observer Newsletter voted Arn as the “Best on Interviews” in 1990. The highest ranking he ever achieved on the PWI top 500 was at #9 in 1991. He was forced to retire in 1997 due to injuries.